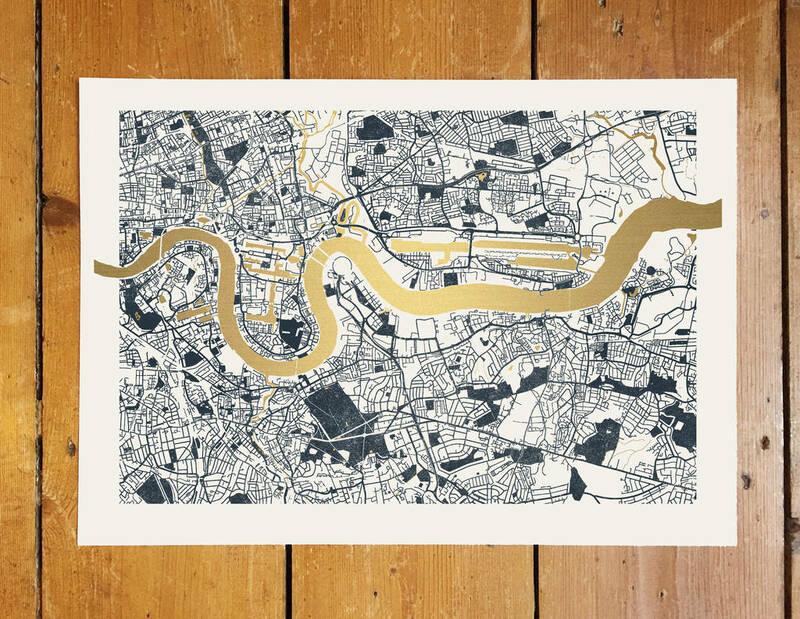 A detailed map showing East and South East London. 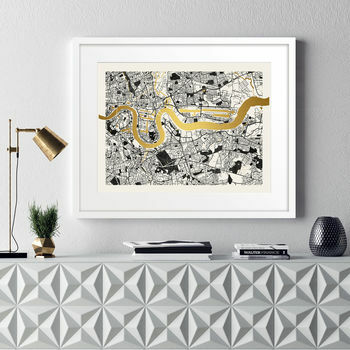 A great gift for any map lover! These stunning maps of London are landscape prints with metallic foil detailing where you can spend hours searching for your favourite London hot spots!